Nigerian Army Institute of Technology and Environmental Studies [NAITES] Faculties/ Departments School Fees Schedule for 2018/2019 Academic Session. 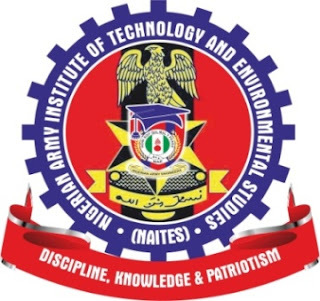 This is to inform all students of the Nigerian Army Institute of Technology and Environmental Studies [NAITES] that the amount of fees payable by all students both fresh and returning students for 2018/2019 academic session has been published. School fees can be paid in two installments; 60% in first semester and 40% in second semester. Beginning from Monday 5th of November, 2018 each admitted and qualified candidate should after all clearance proceed to the ICT for Data Capture. Accommodation is not included in the fees All fees are to be paid at stipulated time as all registrations will be done through the NAITES portal, failure to comply with the deadlines will lead to any other action as deemed fit by the management.